Oil giant BP is funding an influential free-market think tank that facilitates behind closed doors access to cabinet ministers, an investigation by Unearthed has found. Institute of Economic Affairs (IEA) director Mark Littlewood told an undercover reporter that the oil company uses this access to press ministers on issues ranging from environmental and safety standards to British tax rates. He suggested the closed-door events organised by the IEA offered its corporate donors an “off the record” forum in which they could discuss their interests with ministers and other senior politicians. In addition to BP, the investigation found the IEA raises money from gambling companies and US donors that support its push for a hard Brexit and a deregulatory US-UK trade deal. Yesterday Unearthed revealed that the IEA has set up a secret channel for donations from US sources to help fund its controversial trade team, with donors including US agribusiness interests that are keen to see an end to EU-style food regulations which limit sales of US produce in the UK. The group also claimed it would approach alcohol companies to support its work. A document seen by Unearthed now reveals that the National Casino Forum (NCF) – which represents major UK casino companies – planned to donate to the IEA after a 2012 IEA report, which argued for deregulation of the casino industry. The NCF saw funding the report as a way of getting the casino industry’s messaging across via an independent organization, the document says adding that the NCF signed off on funding the research and held meetings with the report’s author more than a month prior to its launch. Unearthed understands that the NCF – then known as the National Casino Industry Forum (NCIF) – had planned to pay the fee via its then-PR agency, Tetra, to ensure that its name was not associated with the report. “The figures suggested and inferences made in your email are factually inaccurate and potentially libellous. We do not recognise the figure referred to”. The news that the IEA accepts money from businesses aiming to further their commercial interests raises questions regarding assurances the IEA made to the Charity Commission in 2016 regarding its impartiality. “The system is clearly not working if a registered charity, supposedly prohibited in law from having a political purpose, uses foreign money to lobby politicians to support its extreme political agenda,” he continued. The IEA is fiercely protective of the identity of its donors and little has been revealed about who funds the charity since the 1990s, when tobacco lawsuits showed it was funded by oil, chemical, tobacco and construction companies during the previous decade. BP’s ongoing donations to the IEA were revealed by the charity’s director general, Mark Littlewood, during a meeting with an undercover reporter posing as a potential US agribusiness donor. 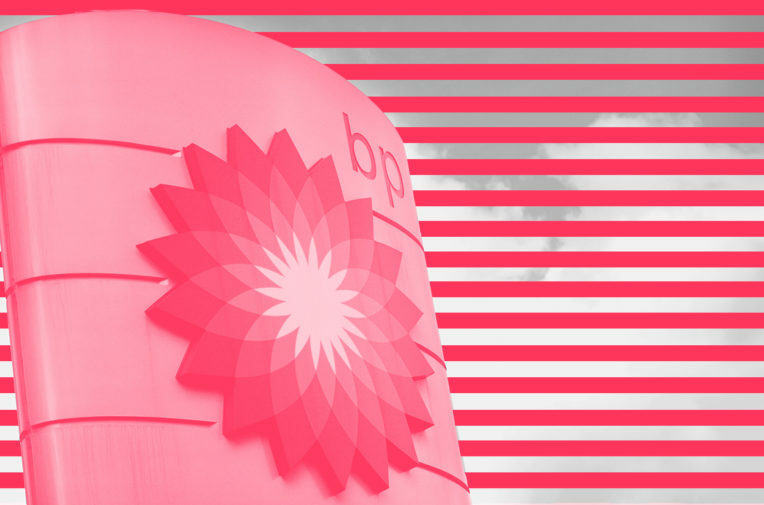 Littlewood told the reporter that BP’s donations enable the energy company’s staff to attend “intimate” private lunches and dinners, where it can probe ministers on issues like worker safety, environmental regulations and taxation. He continued: “That would… be a normal part of the conversation. But then the person from BP might also say, you know, ‘And overall aren’t taxes too high in Britain? “So there’s a general, we don’t expect, people can’t leave their interests at the door I mean you know,” he added. Littlewood, who defended the IEA’s policy of hiding its donors’ identities, claimed that he was not breaching a confidentiality agreement with BP “because they state it in their annual accounts”. However, Unearthed could find no evidence of this in the corporation’s filings. When contacted for comment by Unearthed, the IEA stated that it has received donations from BP every year since 1967. This includes a period in the 1990s when the IEA was at the forefront of efforts to cast doubt on the link between climate change and the burning of fossil fuels. Mayer told Unearthed that the IEA was the progenitor of the modern conservative think tanks that now proliferate in the US: “Unsurprisingly, businesses flocked to fund such think tanks. These days it’s hard to distinguish some of these think tanks from corporate lobbyists. They are often funded by huge private interests, to promote the political agenda of huge private interests, yet they present themselves as untainted, independent charities,” she continued. As one of the UK’s largest corporations, BP executives frequently meet with ministers to discuss their concerns. But the private dinners and other events organised by the IEA offer corporate donors a less-official channel through which to build relationships and discuss their interests with politicians and policy advisors – one where there is little public information about who attended and what was said. As well as the 2012 casino industry report, Littlewood suggested the IEA would be comfortable receiving money from donors with an interest in fixed odds betting terminals, the high-stakes roulette machines that are accused of contributing to growing rates of problem gambling, and helping them to campaign against legal restrictions on that type of gambling. The charity has published numerous reports opposing the regulation of fixed-odds betting terminals. “So instead of being the bookies against the campaigners, it’s the perception of someone who is an impartial expert and some renegade campaigner. So I think the BBC have really got a lot to answer for in terms of letting these people on telly and on radio without them having to state who’s funding them,” he continued. Last year the IEA published a paper about how taxes on alcohol are too high and drinking is not costing the NHS as much as the government claims. The IEA did not disclose how this paper was funded. In response to enquiries from an undercover report representing a US agribusiness about how the IEA could be funded to argue in favour of deregulation of the UK beef market, Littlewood indicated that the IEA takes finance for projects but wouldn’t do a ‘directly commissioned piece of research where they were expected to take conclusions ‘and package them up. The findings appear to contradict the undertakings made by the IEA’s trustees to the Charity Commission in 2016. During the meeting, IEA trade expert Shanker Singham explained that the think tank only works on projects that fit with its libertarian ideology, but suggested they are were open to being commissioned to carry out research that agreed with their world view: “Someone might come to us and say we are beef farmers from the US, we’re really, really interested in helping our interests and we’d like you to do research around how valuable the protected tariff is for beef. This is not something we would do, I mean this is not consistent with our world view. “But if they said you know, we’d really like you to talk about how damaging a tariff is for consumers in a market where there’s a huge tariff on beef, that’s entirely consistent with our world view. And we’ll happily do research on that till the cows come home,” Singham continued.